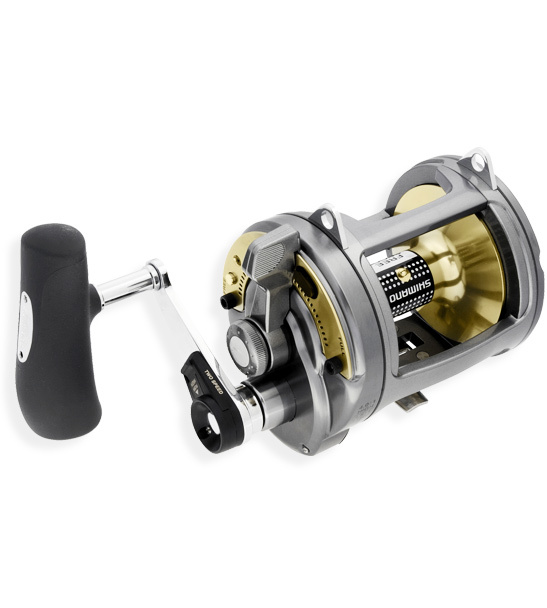 The Shimano Tyrnos range of saltwater over head reels are designed for anglers who want a quality game fishing reel but don't have the budget for the more expensive Tiagra. 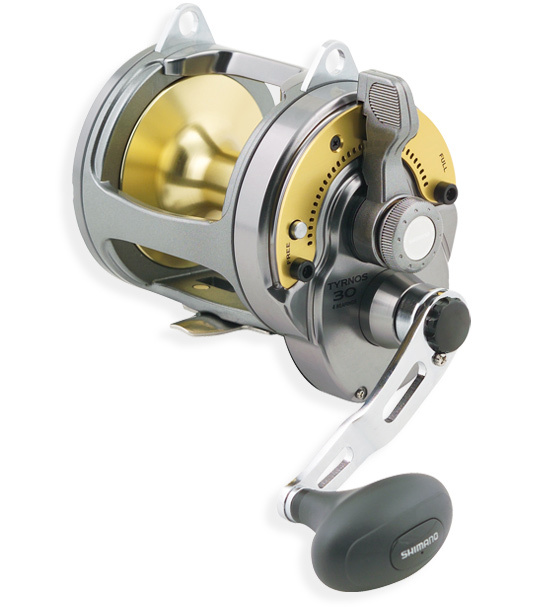 The smaller Tyrnos reels are incredibly versatile giving the angler the ability to troll around rocky headlands and bait schools for kingfish or drop baits for tasty eating fish such as bluenose, hapuka and bass. 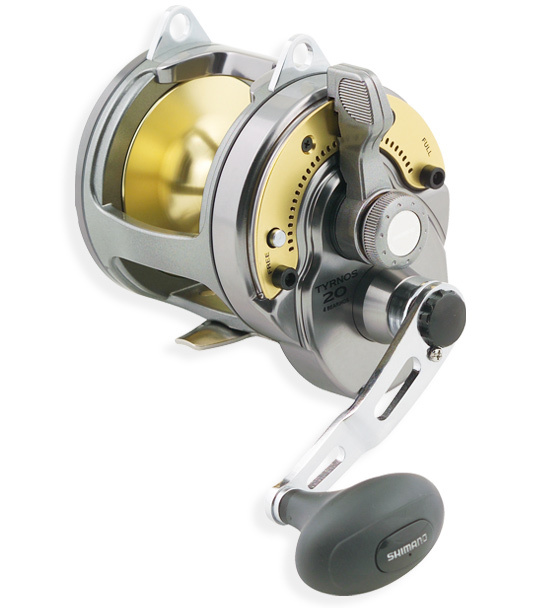 Shimano Tyrnos reels are available in both single and twin speed gearing configurations that adds an extra dimension to an already versatile range of reels. 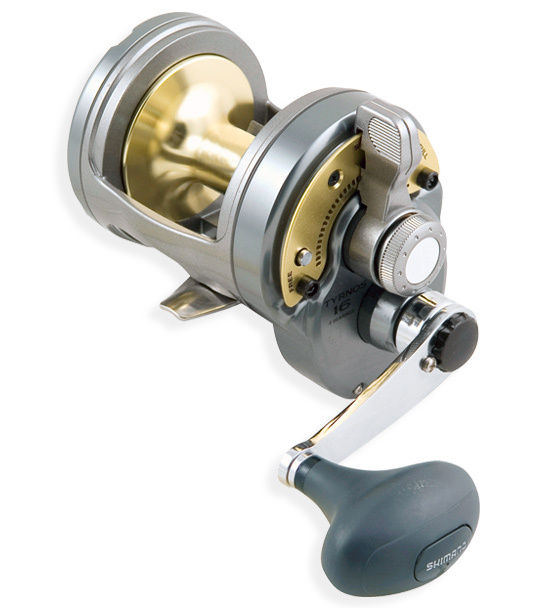 If you've been wanting to go toe-to-toe with mega class tuna and marlin, the 50 LRS is the ideal model. Just like its 2 speed cousin, the 50 delivers a powerful punch. The single speed versions have an alternating twin pawl anti-reverse mechanism while a comfortable ergonomic handle makes for a comfortable fight. 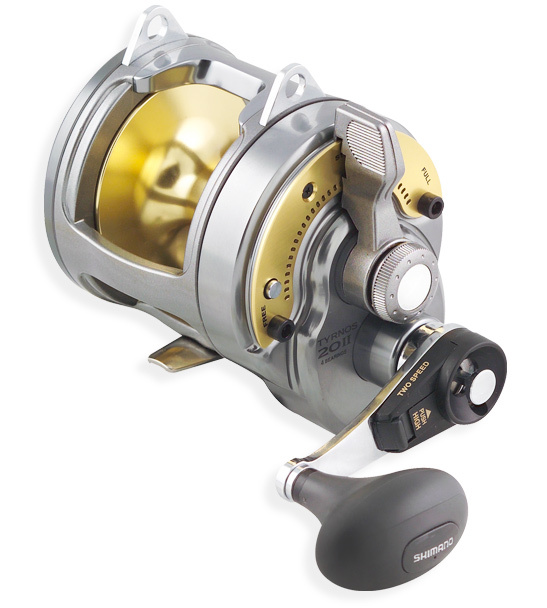 If it's bang for your buck you are looking for then the Shimano Trynos is for you.